Our product range includes a wide range of temperature calibrator, portable black body source and high temperature black body source. 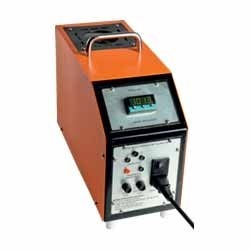 Owing to our vast experience in the concerned industry, we are offering a comprehensive array of Temperature Calibrator. 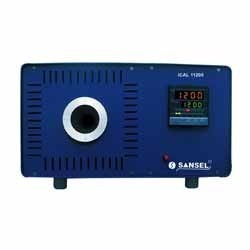 Used as a temperature source for checking & calibrating temperature transmitters, this calibrator is designed using superior quality components and cutting edge technology in compliance with industry norms. Moreover, this calibrator is rigorously tested by our quality examiners on predefined parameters, so as to deliver qualitative product at client's end. We have established ourselves as a prominent manufacturer and supplier of Portable Black Body Source. The offered body source has gained huge appreciation in the market for high strength and easy usage. Our provided body source is manufactured using optimum quality components and sophisticated technology in line with industry norms. We present this body source in various specifications and customized options so as to meet different demands of our prestigious clients. From our wide range of products, we offer optimum quality High Temperature Black Body Source. The offered body source is manufactured using high grade component and cutting edge technology in compliance with industry norms. We offer this body source in different designs and specifications so as to meet the demands of our valuable clients. Apart from this, provided body source is tested by our quality examiners on various parameters.